This item is an instant download. The file will be available to you after purchase. Nothing will be physically shipped to you. You will receive a 4x6 PDF file with trim marks (2 per page) which you can print. 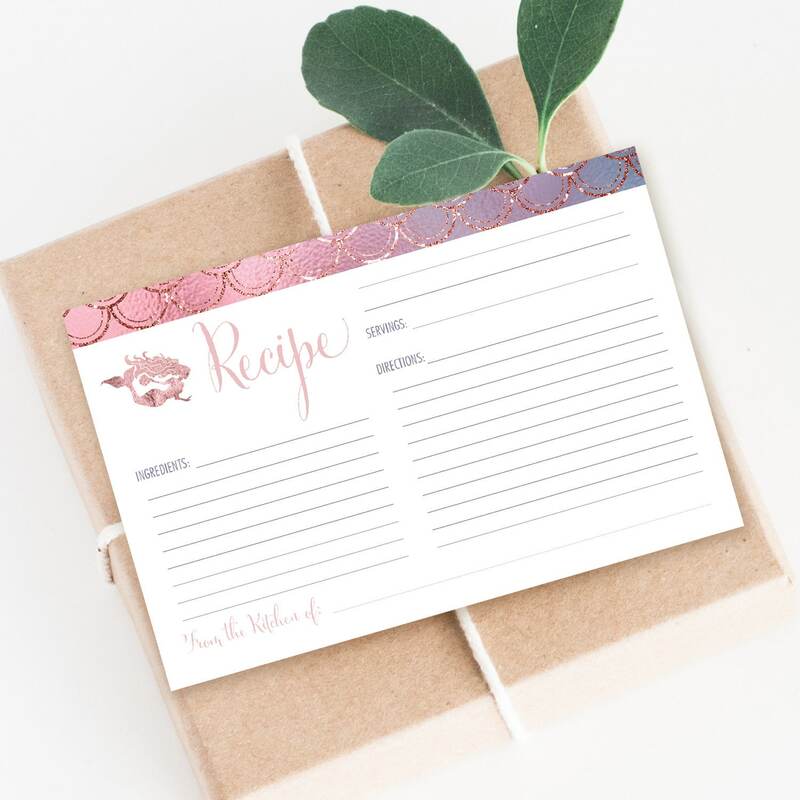 This listing is for a generic recipe card to be filled in by the recipient. If you would like a recipe typeset for you, additional fees will apply. ***When printing this PDF file, please be sure to set your printer settings to "print actual size."